The Bronx Museum of the Art's Teen Council offers dynamic experiences with contemporary art and culture to urban youth through an intensive after-school program for teens. Structured around video production, artist interviews, and exhibition curation, this year-long paid internship provides teens with an open forum for the expression of ideas and dialogue on issues affecting young people today. This year we chose the theme “Made Out of Stardust” for our zine. In this era of divisiveness, we choose to embrace our differences and celebrate what we all have in common. Throughout this year, we have reflected on the impact of racial injustice and women’s inequality in particular, and how we can actively engage in eradicating discrimination. 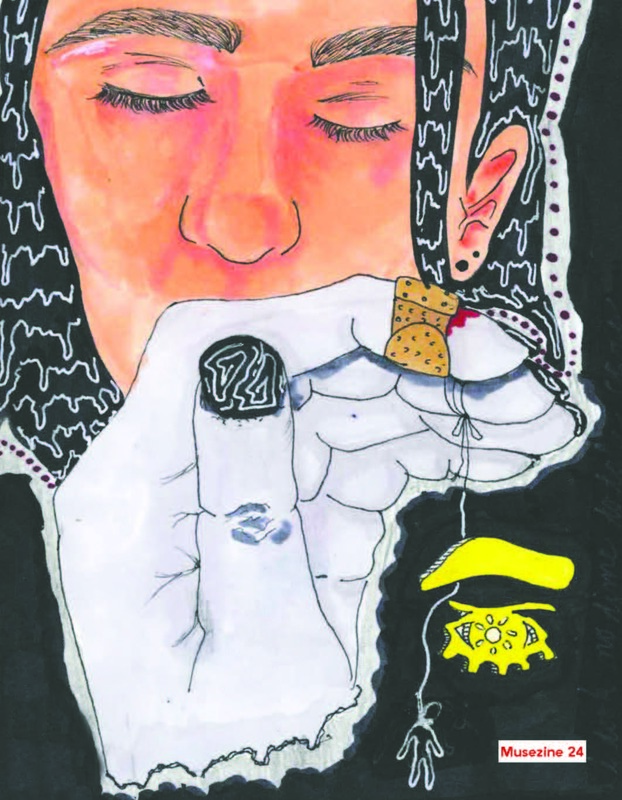 This zine contains original paintings, drawings, poems, and photography created by the members of Teen Council. Take a look at our Musezine archieves HERE. This video is about The Bronx Museum's recreation of Gordon Matta-Clark's 1970 installation "Garbage Wall," on view in the exhibition Gordon Matta-Clark: Anarchitect. The Teen Council documented the process and interviewed those involved with the making. Teen Council is made possible by the New York State Council on the Arts with the support of Governor Andrew M. Cuomo and the New York State Legislature, Pierre and Tana Matisse Foundation, and Anonymous. Education and Community Programs are generously supported by Booth Ferris Foundation, Calamus Foundation, Con Edison, Deutsche Bank, Keith Haring Foundation, New Yankee Stadium Community Benefits Fund, New York Restoration Project, New York Yankees Foundation, O’Grady Foundation, Robert Lehman Foundation, Stavros Niarchos Foundation, Target, William Talbott Hillman Foundation, and New York City Council Speaker Melissa Mark-Viverito and Council Members Vanessa L. Gibson and Annabel Palma.